A removable liner adds welcome warmth to a water-repellent jacket styled with button-accented welt pockets and belted sleeves. 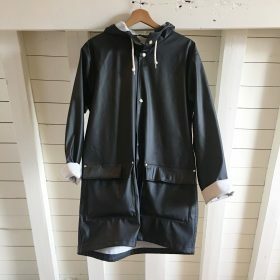 Style Name: London Fog Water Repellent Rain Jacket. Style Number: 5687652. Available in stores.